Clean the sealing surfaces from old sealing material, dirt, oil and grease. The sealing bead should be applied close to the inner edge of the oil pan. Take care that the oil suction gallery (4) will not get contaminated with sealing compound or dirt. The thickness of the sealing bead (3) should be 2 mm (0.0787 in). Apply sealing compound to the oil pan. Refer to Adhesives, Fluids, Lubricants, and Sealers. 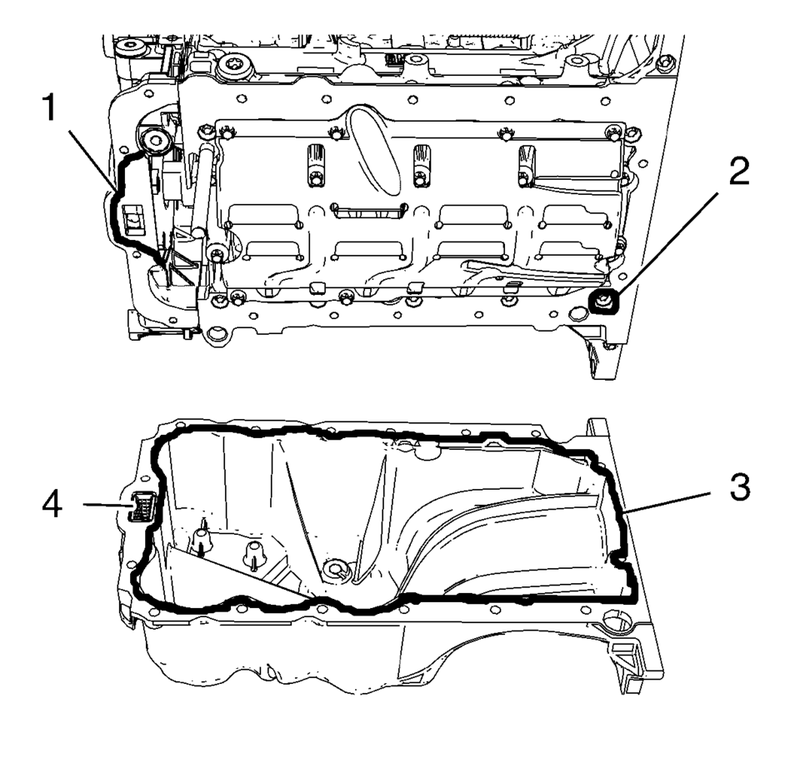 Apply sealing compound to the groove of the engine front cover (1). Refer to Adhesives, Fluids, Lubricants, and Sealers. 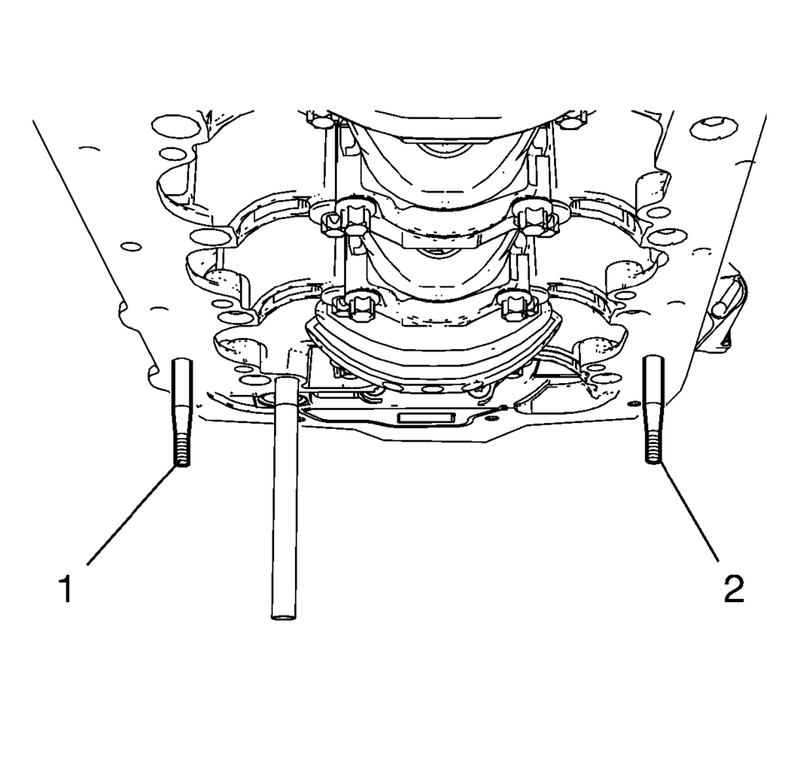 Apply sealing compound around the screw bore (2) of the crankshaft bearing cap tie plate. The complete installation procedure of the oil pan should not take longer than 10 minutes. Install the 2 EN-49980 pins (1) and (2) to the shown oil pan screw bores. Use care when installing the oil pan to prevent disruption of the sealing bead. 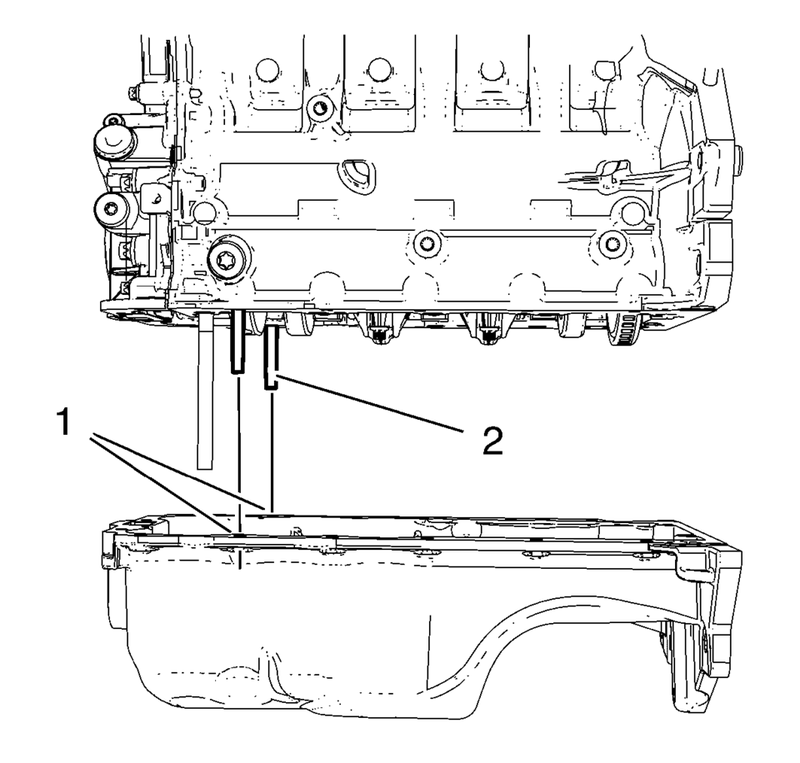 The sealing bead should remain consistent until the oil pan is mated with the engine. An inconsistent sealing bead can cause an insufficient seal and result in engine damage. Carefully install the oil pan. Guide the oil pan with EN-49980 pins (2) and the equivalent screw bores (1). Hold the oil pan with 4 oil pan bolts. Install the remaining 12 oil pan bolts and hand tighten. Lay a straight edge (1) against the oil pan and engine block. 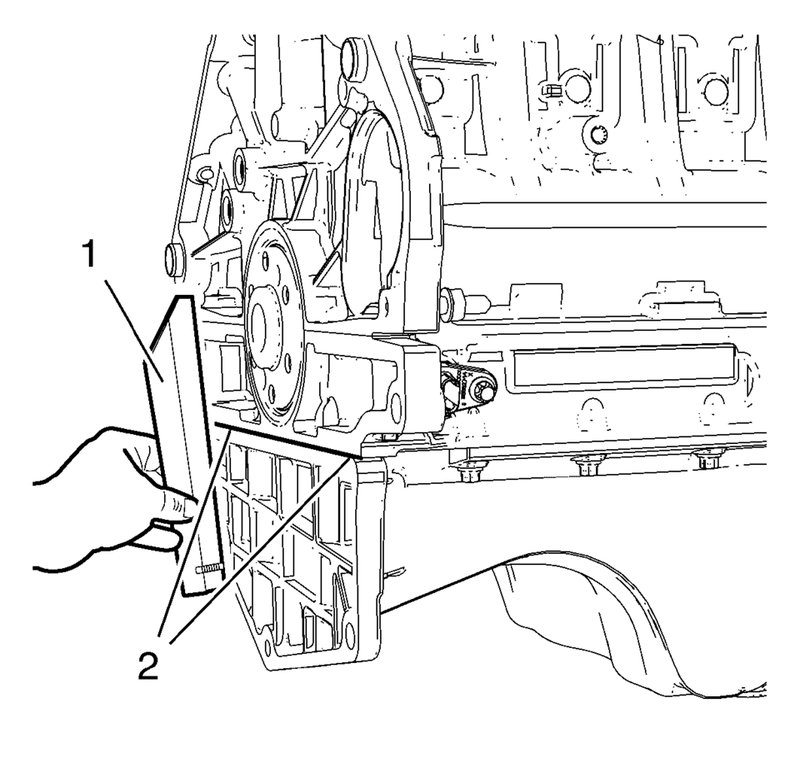 Using a rubber mallet, adjust the transition in area (2) until there is no clearance between oil pan and the straight edge.